Steampunk Pen in Cocobolo and Antique Brass, Copper, and Pewter. 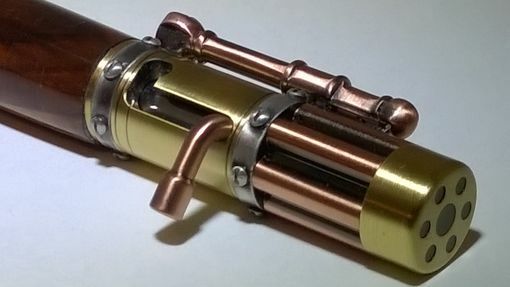 The Steampunk genre has re-ignited a love of old fashioned materials and is all about mixing the old and new; fusing the usability of modern technology with the design aesthetic and philosophy of the Victorian age. 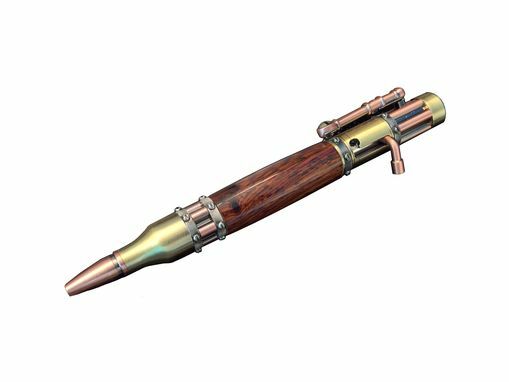 This beautiful Steampunk Pen combines flat head screws, riveted design patterns, replica Gatling gun barrels, a Bolt Action mechanism plus a mixture of industrialized Antique copper, pewter and brass finishes. 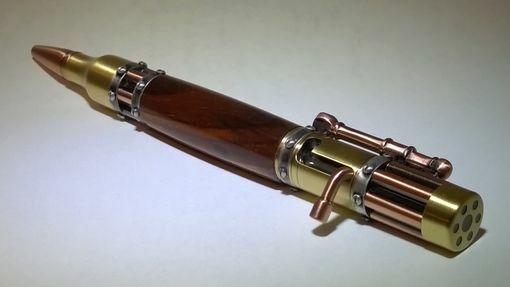 Steampunk is a major trend in fashion, jewelry and design over the last few years - now is your chance own or give the perfect pen as the ultimate Steampunk gift. Smooth writing performance with a Parker style refill. Engraving will be in all CAPS in a block letter font unless otherwise requested. Randy is definitely a five star seller! 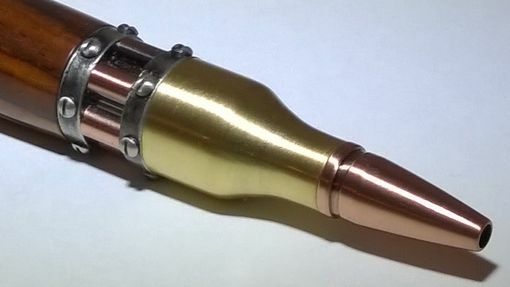 The custom steam-punk pen I ordered is absolutely beautiful, and Randy was so easy to work with. My order arrived fast and in pristine condition! It was beautifully crafted and I am so happy with my purchase. I would certainly work with this seller again! A+++ experience! 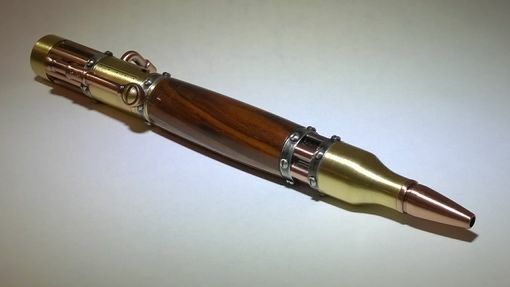 Love, love, love my new Steampunk Pen In Cocobolo And Antique Brass And Copper. Randy was awesome to work with and he kept me in the loop at all stages of the order. My new pen is awesome and I would without reservation recommend working with Randy Pearson to anyone. Product was great - as described. 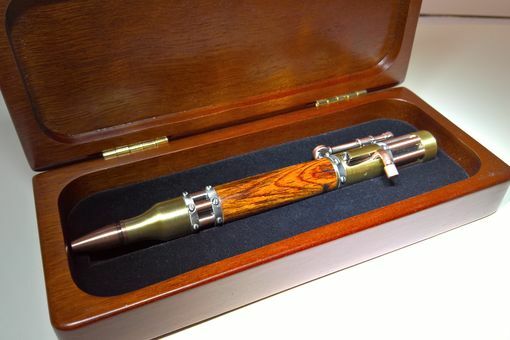 Randy did a great job keeping me informed as the Pen was crafted, engraved, and shipped. Beautiful piece, spectacular finish and feel.